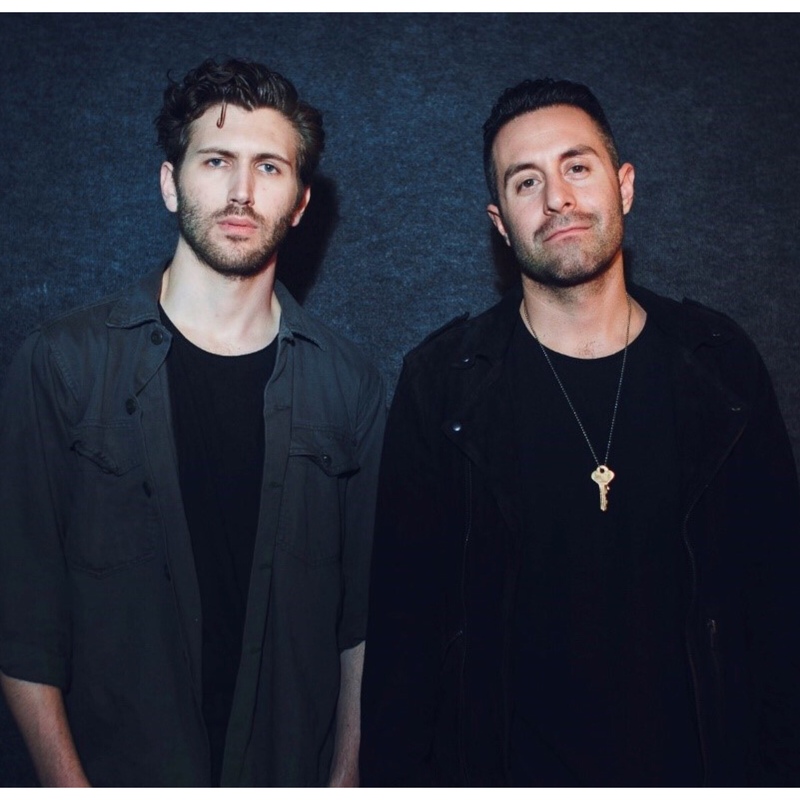 Posts tagged with "house of blues"
New York, NY (June 28, 2018) – One of 2018’s hottest breakthrough acts, LA rock band The Score – Eddie Anthony and Edan Dover – release “Glory” today via Republic Records. Get it HERE. Generating over 140 million cumulative streams to date and soundtracking a major JEEP Grand Cherokee campaign, “Unstoppable” can be found on the band’s full-length debut, ATLAS [Republic Records]—available now. Check out ATLAS here! This entry was posted in Uncategorized and tagged 360 Magazine, art, atlas, band, Dylan Worcel, Echosmith, Global Society, glory, house of blues, hypnotic, icon, iconic, live, live show, music, new music, performance, pop culture, THE ORGHAN THE POET, the revolution tour, the score, tour, tour dates, Unstoppable, Vaughn Lowery on June 30, 2018 by wp360mag. Tickets go on sale this Friday at 10am local time for one of 2018’s hottest breakthrough acts. LA rock band The Score—Eddie Anthony and Edan Dover— are kicking off their fall headline run The Revolution Tour. The group will be joined by THE ORPHAN THE POET as direct support on select dates. The tour kicks off on September 11, 2018 in San Diego, CA at Voodoo Room @ House of Blues, plays major markets coast-to-coast for five weeks, and concludes with a City of Angels homecoming October 18, 2018 in Los Angeles. Click The Score Tour for tickets and more information! 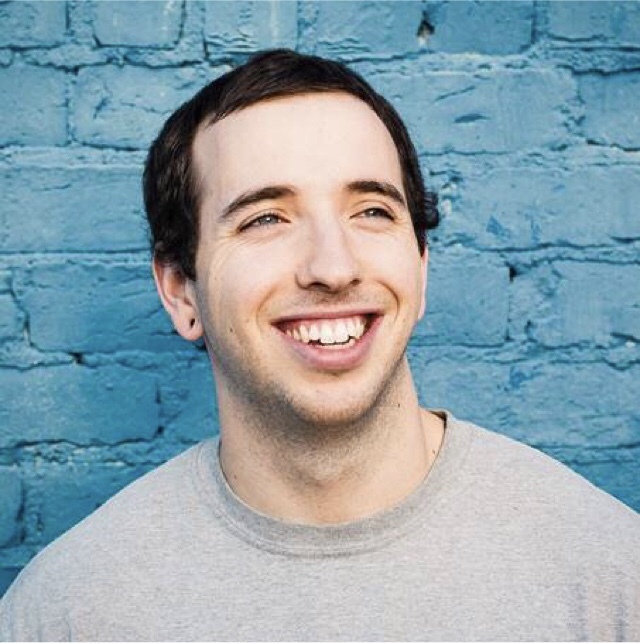 This entry was posted in Feature and tagged 360 Magazine, Claire Swartzlander, concert, Edan Dover, Eddie Anthony, house of blues, Los Angeles, music, rock band, the score, tour, Vaughn Lowery, Voodoo Room on May 29, 2018 by wp360mag. The Kooks are set to release their long-awaited fifth studio album, Let’s Go Sunshine, on August 31 via Lonely Cat / AWAL Recordings. The album is brash and bold with songs that mix melancholy and euphoria. The band has released two new songs off the album, No Pressure and All The Time and will embark on a sold- out US tour beginning May 21 in Boston, MA at the House of Blues and wrap June 7 in Los Angeles, CA at The Wiltern. The Kooks will also be hitting cities across Europe this summer, including shows opening up for The Rolling Stones. Please see full tour routing below. Click HERE to pre-order Let’s Go Sunshine. With the roar of their recent sold-out UK arena tour still echoing in their ears and more than one billion streams under their belts, The Kooks reach to claim their place in the Great British Songbook with Let’s Go Sunshine. It’s a bold long player that distils their timeless sound into its purest form while pushing it forward into a more expansive and mature space. It’s as moving, energizing and timelessly melodic record and incisive in its portrait of modern British urban life. The heart and soul of the record lies in its hymns of lost innocence, fading relationships and the process of break-up and recovery. It’s the sound of an ambitious, confident band stepping out and making a statement with their definitive album. Let’s Go Sunshine sees the band cement their status as true bastions of British guitar pop and take their rightful place at the top table next to the celebrated bands that influenced them in their infancy, over a decade ago. Discussing the process behind creating the album, lead singer Luke says: This one was about defining who we are, we were asking the questions. It was a fractured start, we went into the studio in 2015 continuing down the path we set out on our last studio album Listen and discovered it wasn’t what we wanted to make and wasn’t really The Kooks. So, we scrapped it and started again. I really went on a mission to write the best songs I’d ever written before bringing them to the band, I stewed over every word. It had to be our Rubber Soul, Lola, Definitely Maybe. Proper British lineage. I came from a dark place at the start had a lotta heartbreak and then falling in love in the middle of the album, the lyrics reflect that. From Fractured and Dazed to No Pressure. It’s gotta be our most exciting album, and it should get you dancing. The Kooks started their career with a bang in 2006 with their unstoppable debut Inside In/Inside Out, which went five times platinum at the end of last year. The four-piece band have continued to go from strength to strength. With three more studio albums including a Best of, the band have acquired over 1 billion streams worldwide and embarked on a number of massive world tours including their forthcoming sold-out US tour. With awards and critical acclaim under their belts, they’ve maintained a steady ascent to the top, constantly growing in popularity throughout the last decade. 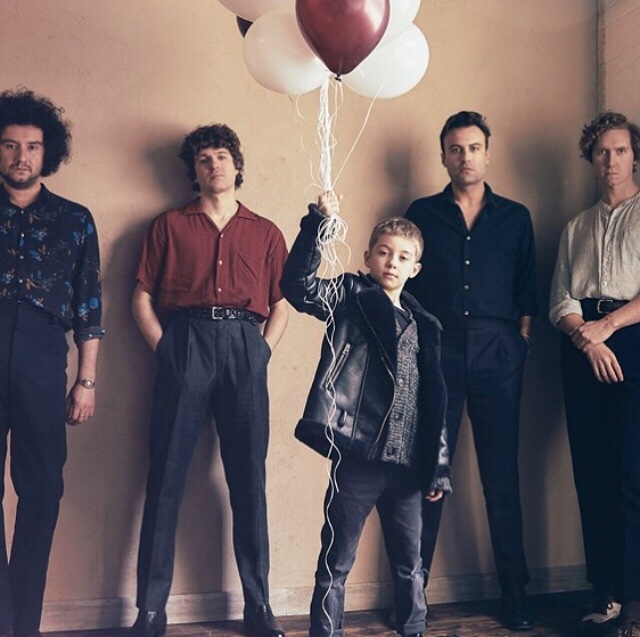 With a legion of new fans discovering the band through streaming in recent years, The Kooks delivered a career defining show last year at London’s Wembley Arena, whilst pulling some of the biggest crowds across the summer festival circuits. 2018 sees The Kooks redefined, varied and ready to go again at their most confident. This entry was posted in Uncategorized and tagged 360, 360 Magazine, 4 Warfield Theatre San Francisco, All The Time, Austria, AWAL Recordings, Belgium, Believe, berlin, Boston, Brooklyn Steel Brooklyn, Chicken Bone, Czech Republic, Danforth Music Hall Toronto, Electric Picnic Ireland, euphoria, FIB Benicassim, Fidely Felisse, FM4 Frequency Sankt Polten, Four Leaf Clover, Fractured and Dazed, Germany, Hannah Audrey Lowe, honey bee, house of blues, Hungary, Hurricane Festival Germany, Initials For Gainsbourg, Inside in or Inside out, Intro, kids, Landgraaf, Leeds Festival UK, Lets Go Sunshine, Lincoln Theatre Washington, Lola, Lonely Cat, Los Angeles, ma, melancholy, Netherlands, No Pressure, No Pressure House of Blues Boston, NOS Alive Lisbon, Pamela, Picture Frame, Portugal, Reading Festival UK, Rock For People Hradec Kralove, Rock Werchter Werchter, Romania, Roseland Theatre Portland, Rubber Soul, Showbox Sodo Seattle, Southside Festival Germany, spain, Stuttgart Mercedes-Benz Arena Germany, Summer Well Festival Buftea, Swing Low, Sziget Festival Budapest, Terminal 5 New York, Tesco Disco, The Kooks, The Observatory North Park, The Observatory Santa Ana, the rolling stones, The Trocadero Philadelphia, The Wiltern, The Wiltern Los Angeles, Vaughn Lowery, Vic Theatre Chicago, Weight of the World on May 18, 2018 by wp360mag. 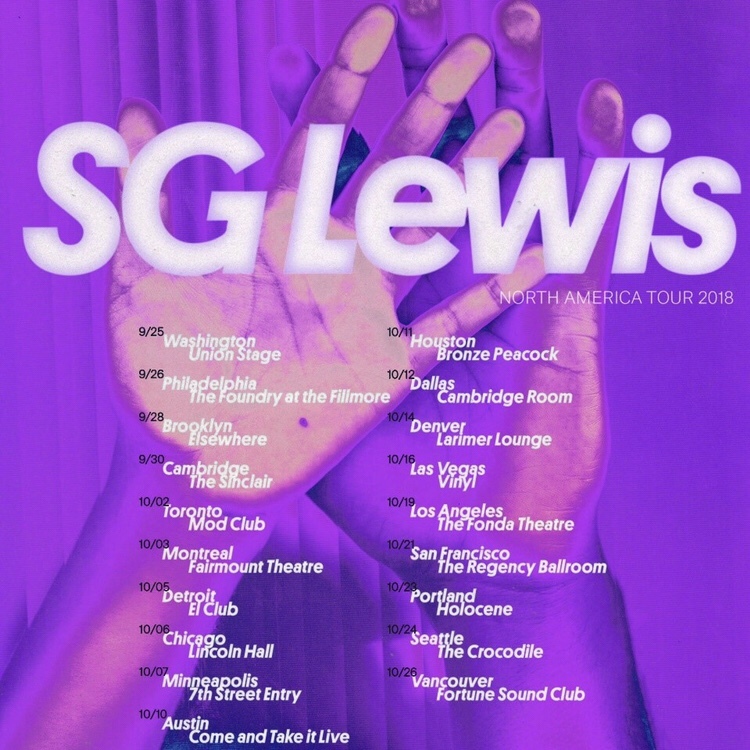 Today, Republic Records songwriter and producer SG Lewis announces his fall North American Tour. The 19 date tour kicks off September 25th at Union Stage in Washington D.C. and takes him across North America making stops at Brooklyn’s Elsewhere on September 28th and Los Angeles’ The Fonda Theater on October 19th. Tickets go on sale this Friday at 10am local time. See full itinerary below. Recently SG Lewis shared ‘Dusk’. The 6-track release is the first chapter of his three-part dedication to club music: ‘Dusk, Dark, Dawn’ and is available to buy and stream now via all partners. The 6-track release includes features with J Warner and Kartell (Roche Musique). The project will soon segue into ‘Dark’ – a phase dedicated to harder, post-midnight club music styles like techno and hip-hop – and finally ‘Dawn’, dedicated to euphoria and chillout. Be on the lookout for more news from SG Lewis soon. This entry was posted in Uncategorized and tagged 360 Magazine, Austin, Brooklyn, Canada, Chicago, colorado, Cronza Peacock, Dallas, Denver, Detroit, el club, Elsewhere, Fairmont Theatre, Fonda Theater, Fortune Sound Club, Holocene, house of blues, Houston, J Warner, Kartell, Larimer Lounge, las vegas, Lincoln Hall, Los Angeles, Minneapolis, Mod Club, montreal, North america, Portland, Republic Records, Rosche Musique, San Francisco, Seattle, SG Lewis, Spencer Williams, Texas, The Crocodile, The Foundry, The Regency Theater, The Sinclair, Toronto, Union Stage, Vancouver, Vaughn Lowery, Washington D.C. on April 24, 2018 by wp360mag. “There’s a moment in your bones when the fire takes over,” declares LA rock band The Score–Eddie Anthony and Edan Dover – in their triumphant anthem, “Unstoppable”. Partnering with the Jeep brand for a newly-minted campaign, The Score proves that while life has a million trails, you were built for all of them. Watch the Jeep Dial | Grand Cherokee spot HERE, and the Jeep Dial | Compass spot HERE. Generating over 45 million cumulative streams to date, “Unstoppable” can be found on the band’s full-length debut, ATLAS [Republic Records]—available now. 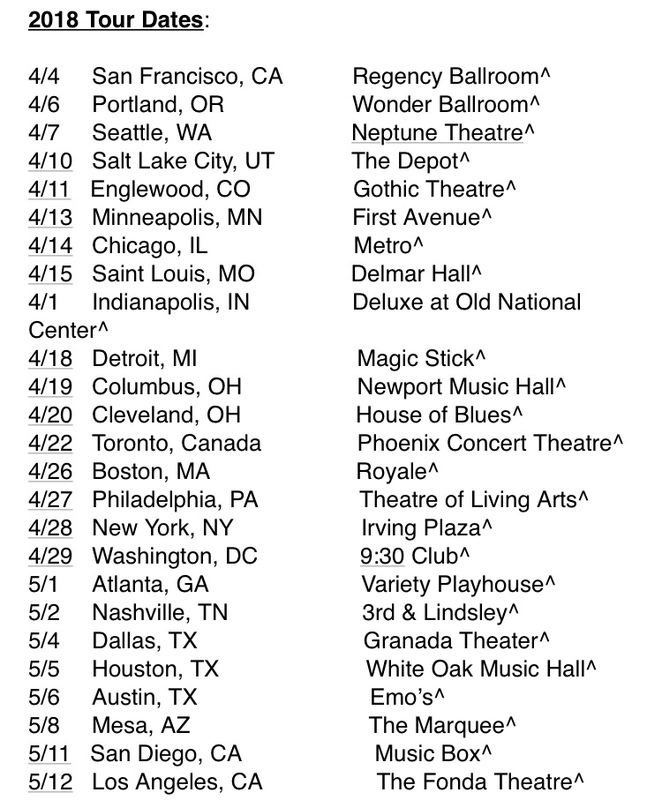 This spring, The Score support Echosmith on the Inside A Dream tour across North America. It kicks off April 4 at Regency Ballroom in San Francisco, CA, rolls through major markets coast to coast, and wraps up at The Fonda Theater in Los Angeles, CA on May 12. Check out the full itinerary below. 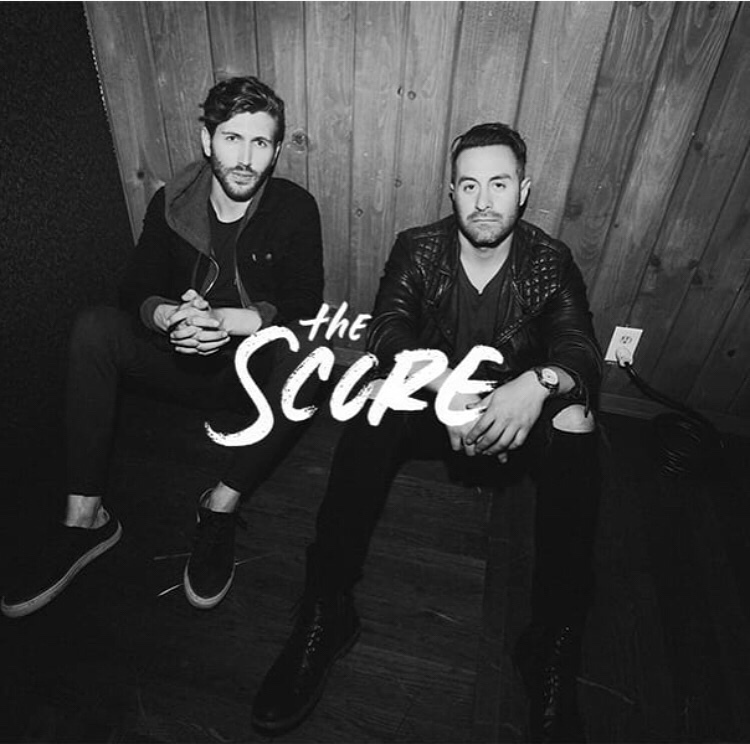 In 2015, The Score unleashed their debut Where Do You Run EP to critical reception – with 26 million Spotify streams and counting. Not only did they gain the attention of BBC Radio in the UK, but activated a dedicated fan base who propelled them into a worldwide deal with Republic Records. The band returned in 2016 with the Unstoppable EP, notching 30 million Spotify streams from their fans, and in 2017 with the Myths & Legends EP with 27 million streams to date. 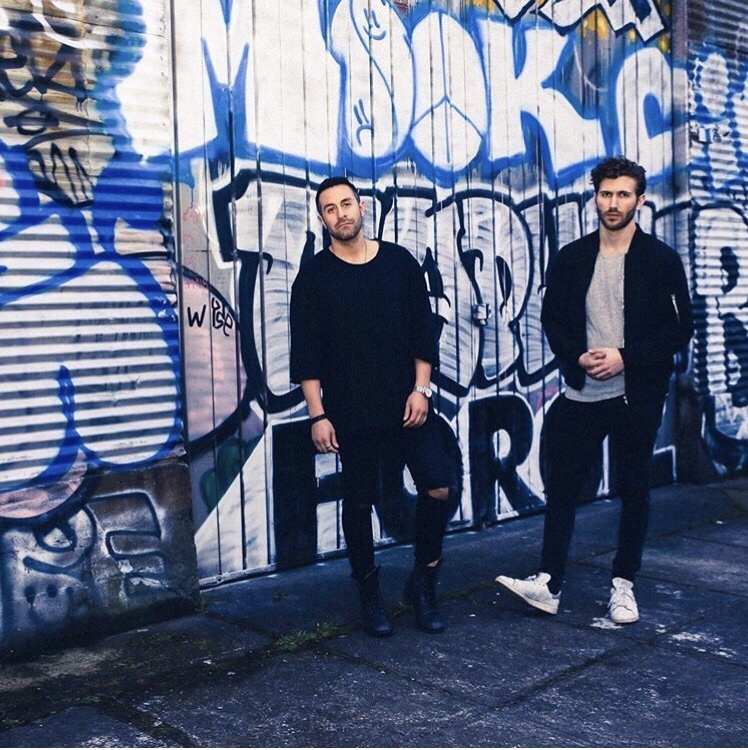 Their songs have been motivating fans worldwide who discover the band through the likes of the NBA, movies such as Power Rangers and Pitch Perfect 3, as well as major brands such as Jeep. Culminating in ATLAS (Deluxe) in 2017, it all adds up to The Score’s album being streamed over 110 million times on Spotify and counting. Along the way, they would earn acclaim from Billboard, Nylon, Diffuser, and more in addition to landing critical placements in film and TV. This entry was posted in Uncategorized and tagged 360, 360 Magazine, 3rd & Lindsley, 9:30 Club, Atlanta, atlas, Austin, BBC Radio, billboard, Boston, ca, Chicago, Cleveland, columbus, Dallas, delmar hall, Deluxe at Old National Center, Detroit, Diffuser, Echosmith, Edan Dover, Eddie Anthony, Emo’s, Englewood, Fidely Felisse, First Avenue, Fonda Theater, Gothic Theatre, Granada Theater, grand cherokee, Hannah Audrey Lowe, house of blues, Houston, Indianapolis, Instide A Dream, irving plaza, jeep, Jeep Dial, la, Magic Stick, Mesa, Metro, Minneapolis, Music Box, Music Hall, Myths & Legends EP, Nashville, NBA, Neptune Theatre, New York, Newport Music Hall, North america, Nylon, Philadelphia, Phoenix Concert Theatre, pitch perfect, Portland, Power Ranger, Regency Ballroom, Republic Records, rock band, royale, Saint Louis, Salt Lake City, San Diego, San Francisco, Seattle, spotify, The Depot, The Marquee, the score, Theatre of Living Arts, Toronto, UK, Universal Music Group, Unstoppable, Variety Playhouse, Vaughn Lowery, washington, where do you run ep, White Oak, Wonder Ballroom on March 30, 2018 by wp360mag. This Thursday, December 7th Royal Blood will return to Conan for a performance of their current single “I Only Lie When I Love You”. Fans can tune in at 11:00 / 10:00 CST on TBS (check local listings). Praise for How Did We Get So Dark? includes USA Today: “a monstrously good album,” Rolling Stone: “a taut, smoldering album from a pair that has distilled rock to its essence,” NME: “the sound of modern masters honing their craft,” Entertainment Weekly: “darkly thrilling,” Forbes: “Royal Blood ready to make leap to rock stardom on second album,” and much more. 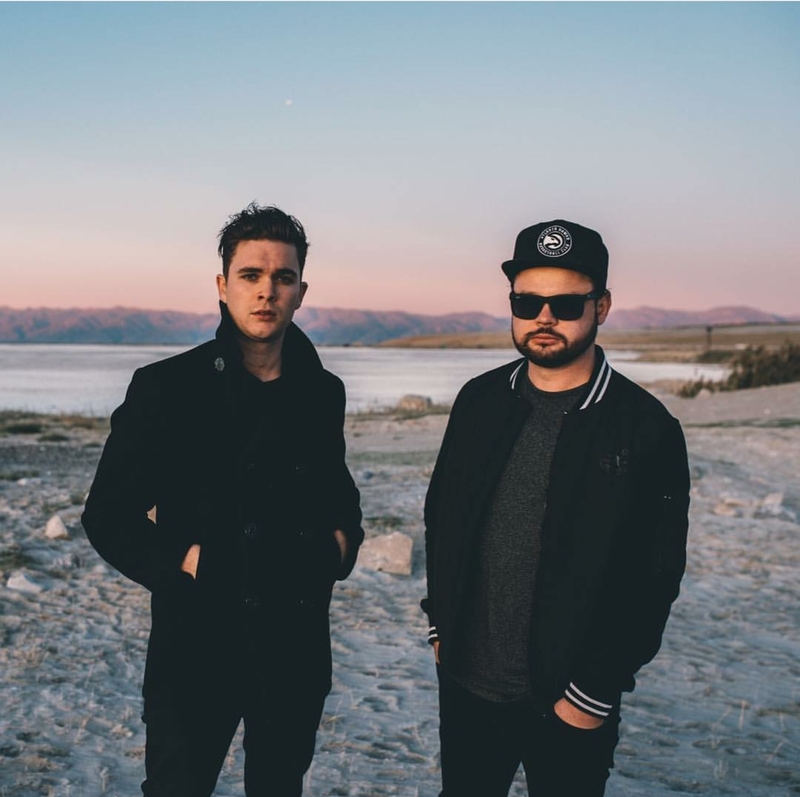 Royal Blood spent the fall supporting Queens of the Stone Age at arenas across North America. They will round out the year with a performance in Los Angeles at KROQ’s annual Almost Acoustic Christmas. 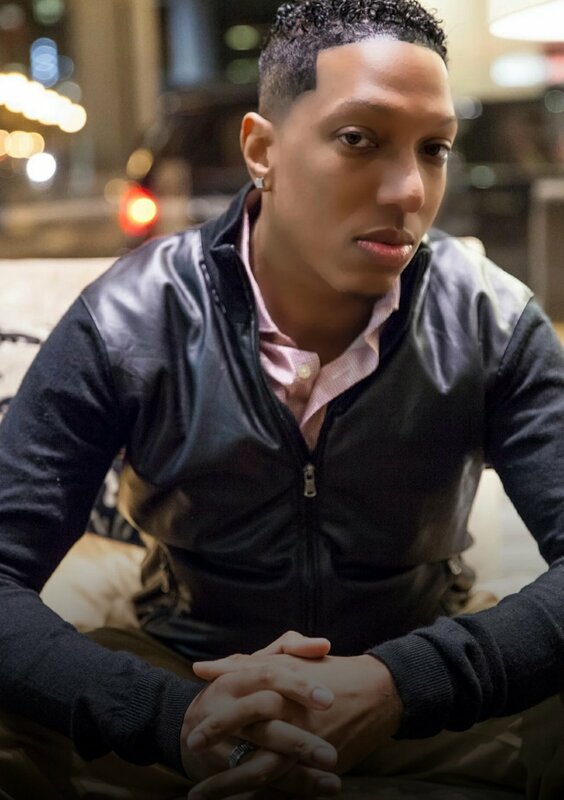 This entry was posted in Fashion + Music and tagged 360 Magazine, band, Britain, British, Conan, house of blues, la, London, Los Angeles, music, New York, pop culture, rock, royal blood, singer, songwriter, UK, Vaughn Lowery on December 4, 2017 by wp360mag. September 5th Houston, TX House of Blues Show Is On As Planned! 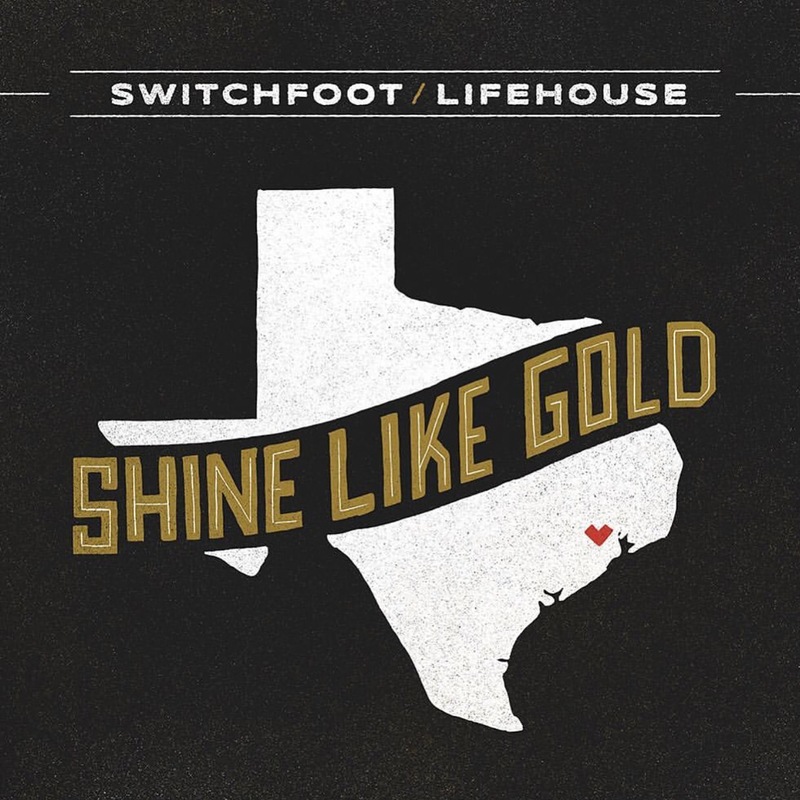 After the devastating storm that struck Texas, SWITCHFOOT and LIFEHOUSE wanted to do something together to give back and wrote a brand new song titled, “Shine Like Gold,” which exclusively premiered on People.com. All proceeds from “Shine Like Gold” will be donated to aid Houston’s recovery in partnership with Food for the Hungry. SWITCHFOOT and LIFEHOUSE are currently touring with each other for the first time ever on the “Looking For Summer” Tour. The bands will collectively be performing the song together at the September 5th House of Blues show in Houston, Texas. Formed in San Diego in 1996, SWITCHFOOT is Jon Foreman (vocals, guitar), Tim Foreman (bass), Jerome Fontamillas (keyboard, guitar), Drew Shirley (guitar), and Chad Butler (drums). Since their start, the band has sold over 5.7 million copies worldwide of their first nine studio albums (including their 2003 double-platinum breakthrough The Beautiful Letdown and 2009’s Grammy Award-winning Hello Hurricane), racked up a string of Alternative radio hit singles, and performed sold-out world tours with over 4 million concert tickets worldwide. SWITCHFOOT released their latest album, Where The Light Shines Through, on July 8th, 2016 via Vanguard Records. Where The Light Shines Through is the band’s tenth album and the first since 2014’s highly acclaimed Fading West. The album was self-produced in collaboration with John Fields, who helmed the multi-platinum breakthrough The Beautiful Letdown. Beyond their career achievements, SWITCHFOOT has also been active in a variety of philanthropic efforts, raising over a million dollars to aid kids in their community through the band’s own Bro-Am Foundation, a long-running annual benefit surf contest and concert that’s held every summer in Encinitas, CA. $1 of every ticket sale will be donated to SWITCHFOOT’s BRO-AM Foundation providing services to underprivileged and disadvantaged youth. They’ve also maintained a deep commitment to a variety of humanitarian causes, lending their support to such worthy organizations as CURE International, DATA, the ONE Campaign, Habitat for Humanity, Invisible Children, and To Write Love on Her Arms. Multi-platinum award-winning rock band LIFEHOUSE recently released their first hits compilation, LIFEHOUSE: Greatest Hits, on CD and all digital retailers. The 18-track selection will include a multitude of their chart-topping hits, including “You and Me,” “First Time”, “Halfway Gone,” “Hurricane” and “Hanging by a Moment,” which was the most played radio track of 2001. To mark the release, LIFEHOUSE, which includes Jason Wade (lead vocals, guitar), Bryce Soderberg (bass, vocals) and Ricky Woolstenhulme Jr. (drums, percussion), are co-headlining a U.S. tour with SWITCHFOOT, which will wrap September 10 at the Masonic Auditorium in San Francisco after a show on September 9 at the Greek Theater in Los Angeles (tour dates below). LIFEHOUSE was formed in Los Angeles by singer/songwriter/guitarist Jason Wade, bassist Bryce Soderberg and drummer Rick Woolstenhulme Jr. as Blyss in 1999, attracting the attention of producer Jude Cole. LIFEHOUSE’s music has always been radio-friendly, but the band’s success is as much for lead singer/guitarist Jason Wade’s “sonorous” vocals and spiritual songwriting as it is for the band’s well-honed cohesion as performers. Since 2000, LIFEHOUSE have released seven albums that have cumulatively sold 15 million around the world. This entry was posted in Uncategorized and tagged #HoustonStrong, 360 Magazine, alternative, band, bass, Bro-Am Foundation, Bryce soderberg, chad butler, Charity, concert, cure international, data, Diana Macaraeg, drew Shirley, drums, fading west, Greek theater, guitar, Habitat For Humanity, house of blues, Houston, Hurricane Harvey, invisible children, Jason wade, Jerome fontamillas, Jon Foreman, lifehouse, Los Angeles, people, percussion, Ricky Woolstenhulme Jr., San Diego, shine like gold, switchfoot, Texas, the beautiful let down, Tim foreman, to write love on her arms, Vaughn Lowery, vocals, where the light shines through on September 1, 2017 by Pitch360.